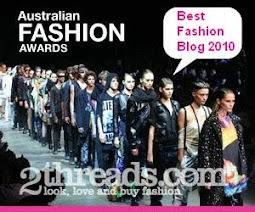 Perth Fashion Festival (PFF) is set to expand its global reach in 2012 with the announcement of two new international ambassadors, Jean Michel Jarre, French composer, performer and music producer and Marie Choo, a well-known and respected Singaporean fashion and lifestyle writer and socialite. These new appointments will see PFF’s ambassadorial program fuse the talents of music, fashion and photography in three different corners of the world with Jarre and Choo joining PFF’s inaugural international ambassador and New York based fashion photographer, Russell James to help put WA designers on the international map. Jarre first came to international fame three decades ago with his number one hit album Oxygene and in 2013 he plans to present Rendez-vous Perth, a tailored, city-scale, civic concert event. He personifies French couture with his natural elegance and style and his music is most often aired to accompany the presentations of the co llections of major fashion houses. Marie Choo contributes articles to publications such as Nylon and InSing as well as writing for her fashion and style blog, Style-Canvas. “It is such an honour for me to be appointed as an International Ambassador for Perth Fashion Festival 2012, alongside Jean Michel Jarre and one of the world 9;s leading fashion photographers, WA-born Russell James,” said Marie Choo. PFF is keen to appoint international ambassadors who are key creative influencers in their domestic market to support WA’s creative industry and the City of Perth in their home countries. "I am so proud and excited by the addition of two new international ambassadors to the Perth Fashion Festival team for the simple reason that it will take Perth's brand global and in doing so allows our talent and creativity to be seen worldwide,” said Perth Lord Mayor and Perth Fashion Festival Ambassador, Lisa Scaffidi. "These ambassadors will enable international visitors to realise that o ur State’s strengths go beyond mining and natural beauty. Our creative industry and city are truly inspirational and world standard." PFF is supported by the State Government through Eventscorp, the Department of Culture and the Arts and the City of Perth. Further information on PFF 2012 program of events will be unveiled in coming weeks. Perth Fashion Festival 19-25 September 2012.